Despite wondrous technologies and scientific advances, people are nurturing a culture of fragmentation, diffusion and detachment. People’s attention is scattered among beeps and pings of the push button video game world; thus, less likely to pause, reflect and genuinely connect. In the increasingly cyber-centric world, there are fears that people are getting into the dark age of interruption that will render them unable to think decisively, work creatively or nurture meaningful relationships. According to Jackson, there are implications when people lose their ability to sustain focus, which erodes the capacity for deep attention, a building block for intimacy, wisdom and cultural progress (13). The repercussions for a healthy society are severe. Societal add adversely affects parenting, marriages, education, personal safety and even democracy. Yet people can recover their power to focus through renaissance of attention. People are creating and nurturing a culture of distraction where people are increasingly disconnected from people and events around them, and are increasingly becoming unable to indulge in long-term thinking. Nowadays people feel anxious when their brains are not stimulated. In the process, people are losing very essential things and threaten the ingredients that drive creativity and insight by filling the gap with stimulation. In addition, this inhibits real human interaction when people prioritize their computers over people who are right in front of them. Video games cause harm to children because when they play video games, children hide indoors and do not communicate with people; thus, they will end up having few friends to help them in future. Video games also decrease children’s social ability and separate their relations with relatives because children do not communicate often. Addiction is easy and when it happens, students lose their concentration in revising or doing homework; thus, their grades decrease making it hard for them to secure a job in future. Moreover, when children spend most of their time indoors, they do not exercise and because of the addiction the children sleep for few hours, which negatively affect their health (Anderson & Rainie 4-8). Students always face distractions and time-wasters; however, computers and Smart phones and the stream of stimuli they offer a profound challenge to learning and focusing. Though the lure of the technologies affect adult, it is particularly powerful in young people. The risk is that developing brains are easily habituated compared to adult brains to constantly switch tasks, making them less likely to sustain attention. The worry is raising a generation of children who continuously play in front of screens and get their brains wired differently. Unchecked utilization of digital devices creates a culture where students get addicted to the virtual and get lost in it. Young people are growing up in a world that provides them an instant access almost everywhere with incredible opportunities for connecting, creating and collaborating. While this can be considered positive, there is already an evidence of deficiencies in teenager’s capability to focus their concentration, be patient and engage in deep thoughts. Experts express the concern that the trend is leading to a future where most people are superficial consumers of information; thus, endangering society (Kraus para 1-8). Playing video games not only affects academic skills but also social skills, thought span and significantly children’s view of the real world. Nowadays it seems children would rather spend the day playing video games rather than spending time with family. Video games are unnecessary stress and addictive in children lives today. 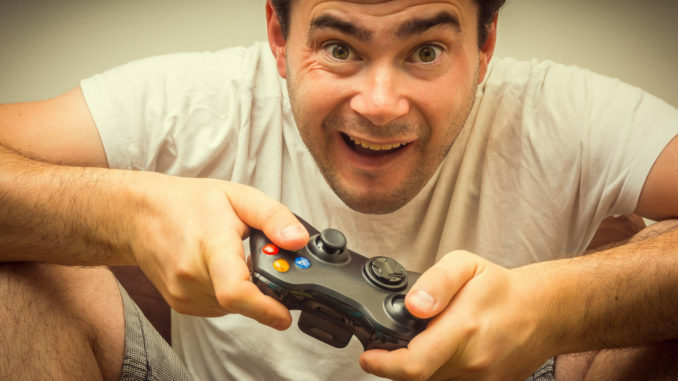 The profound effects of video games to learning is summed up in the phrase, “if many believe violence is a learned behavior, then the powerful combinations of reward, demonstration and practice intrinsic in electronic games offers an ideal instructional environment.” The lessons taught in such games are that violence is fun, easily justified, obligatory and essentially without negative consequences (Richtel para4-9). Young people used to nuggets of quick-fix information are not likely to engage in critical analysis of concerns and challenge of information. Shallow choices, expectation of quick gratification and lack of tolerance are likely outcomes. A notable outcome is the stagnation in innovation. The evolving social organization will create fresh division of labor, which rewards specialists who retain the skills of being focused and deep thinking. Thus, new winners and losers shall emerge in the reconfigured environment and those left behind will get stuck in the shallow diversions provided by technology. Concerns exist regarding new social divides with suspicion that there will be an increase in class division around work, skills and attention. The biggest problem from the perspective of personal development will be motivating individuals to work in order to be self-actualized, fruitful and civic compared to their parents. People will be willing to relax and be distracted by games amid increasing technical productivity (Jackson 23). As machine intelligence increases, the first response by humans will be to delegate their aptitude and motivation to machines, which is a dehumanizing response. With time, technology will seamlessly be integrated into people’s lives that it will eventually disappear. There is a thin line linking self and technology today, but with time it will effectively vanish. People will think with, into and through their smart tools but the tool’s presence and reach in people’s live will not be clearly visible. Young people assume that their wits and intentions are developed by technology. In future, children will assume that this is how the world operates. Cognitive challenge children and young people will face is integrity, the condition of being intact and undivided. Thus, a premium will be available for those able to maintain mindfulness in the persistent and pervasive tool incursions and extensions in life (Richtel para 7-12). There are concerns regarding humans’ future ability to solve complex problems, since short attention spans from quick interactions are detrimental in focusing on hard problems. Thus, this may result in stagnation in several areas such as technology and social venues like literature. People report having difficulty with sustained attention and today there are young, impressionable minds that rely on technology for numerous things. Thus, difficult to predict how technology starves young brains cognitive ability gained through early hands-on experiences. Nevertheless, it is likely to continue contributing to the increase of obesity, which hinders cognitive function. Technology seems to be taking people’s collective consciousness and the capability to conduct critical examination and thinking and affects individual determination in modern society. There is a sense that society is depended on technology in a way that if technology suddenly disappears or breaks down, it will make people functionally useless. This in turn has grave impact on individual and social resilience. Through games, people are no longer interested in real human interaction since they are always ready to use crutches when they can; thus, distraction will only grow in future (Anderson & Rainie 9). 2. Jackson, Maggie. Distracted: The Erosion of Attention and the Coming Dark Age. Amherst, N.Y: Prometheus Books, 2008. Print. Video gaming is one of the most common activities done by children. Often parents get worried about their kids playing video games all day long. They feel that by doing so, their kids are not giving proper time and concentration to studies as well as other co-curricular activities. They also feel that children are spoiling their eyes by continuously playing the game. To be true, video gaming has definitely spoiled the kids to some extent but to some extent it is also developing the skills and thinking capabilities of the kids. For instance, a video game that has different levels, each level can be passed only after the player thinks about the different ways to pass that level. Here, the children have to use their skills so as to find a way to pass the stage and move on to the next more difficult stage. Similarly there are games that have a lot of violence and destruction in them. Such games are very much enjoyed by the children but these games make them violent. Now, this is the responsibility of the kids as well as the parents to restrict their kids from playing games that are violent. Instead, parents should encourage their children to play games that improve their situation handling skills as well as knowledge. The destructive games will teach your kids violence more than they learn from books or television. Children between the age of 8 and 18 years are spending 7 to 8 hours per day on playing computer games, watching television as well as other media. The main reason for this time waste is that they have televisions in their own rooms because of which they are using it unrestrictedly. As a result, the time that they spent on studying their school books is reducing. This is the responsibility of the parents to remove the television sets from their kid’s room and fix few hours during which they can watch television or play video gaming. Sure there are positive and negative effects of video games. But video gaming imparts education, for example, they teach economical skills like purchasing strategies and negotiating that will help them in their college level economic subjects. For instance, there are some games that allow players to collect money or points and use that money for purchasing things that are useful for them in the game. This makes them simulate marketers so that they learn what important items to purchase when you have scarcity of money. Video gaming has one major advantage and that is it teaches how to solve problems. There are some rules set for the players that they have to follow. These rules help them in figuring out the best gaming strategy that will help them achieve their goals. In case it is a multiplayer game then problem solving will be carried out on a social context that will teach the players how to communicate with other people and cooperate with them. To get a child away from video games, get toys and hobbies that will replace them. No one can stop a habit without replacing it with something else.